DIN - B connector (IP65). Suitable for solenoid valves with a DIN - B connector for voltages from 12V up to 380V. 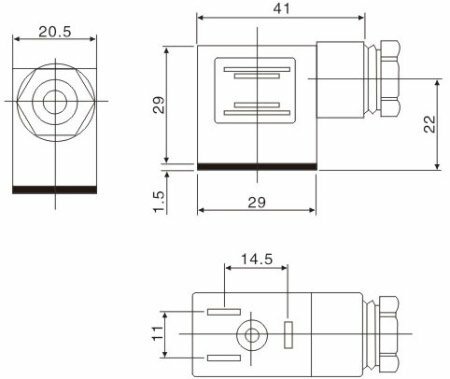 DIN-B connector (DIN43650B) for solenoid valves.